Finally, the year’s the most awaited movie is here and let me tell you one thing, Avengers Infinity War is worth of all the hype it created in past months. The movie is releasing tomorrow i.e. 27-Apr-2018. I was lucky enough to grab my pre-premier ticket to witness this epic blockbuster of all time. AVENGERS: INFINITY WAR is way-way more above you can Expect and Imagine. 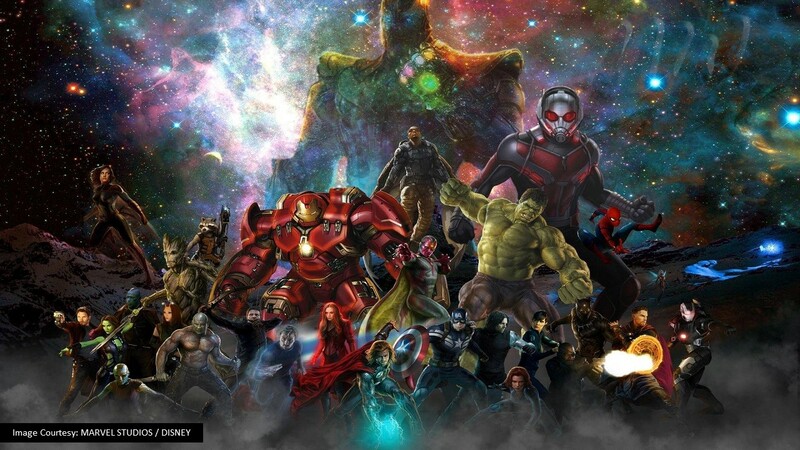 This 156 Min, Avengers: Infinity War is the biggest, badass, priciest and most crowded movie ever, which has set the BAR high for other super-hero movies in its competition. 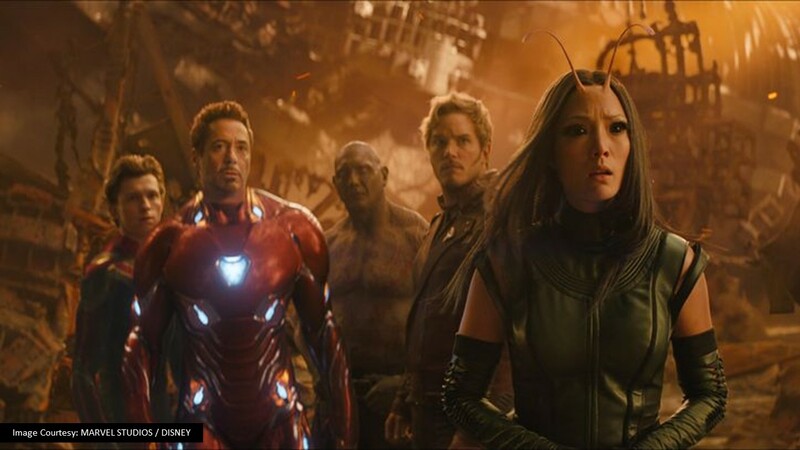 After watching the movie, it was almost impossible for me to recall any movie on the planet which can dare to stand against this larger-than-life Avengers: Infinity War. Earth Mightiest Heroes are about to face their most frightening challenge. If you’re thinking Avengers: Infinity War is about all the superheroes – Oh dear, you’re wrong. Avengers: Infinity War is a THANOS movie… Thanos has been teasing us for a very long time & finally, the insensitive Titan has decided to show up on earth in search of more infinity stones. Thanos whole purpose of coming to earth is to destroy half the universe and kill everyone in it. Avengers: Infinity War is the most inexplicable movie ever. If you haven’t read the comics, you’ll only keep assuming what’s going to happen next. 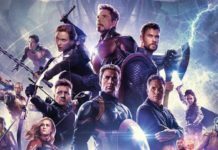 As each and every minute of Avengers: Infinity War is packed with something unique and interesting. 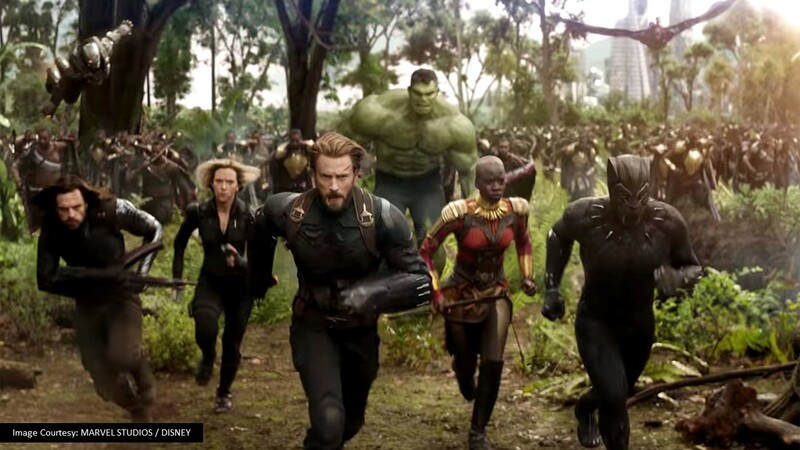 Avengers: Infinity War is packed with awesome scenes to give you guaranteed goosebumps. Amazing effects of CGI and more than 10 WOW moments in the movie which are enough to keep you glued to your seat till the end. CAUTION: Do not, I said Do Not leave the theaters without watching the ‘CREDIT SCENE’ as Marvel has more surprise for you up ahead. For the first time on Ankit2World, I rate the movie 5 Out of 5 Stars. Delhi Blogger with more than 8 Years of Digital Marketing Experience. Hollywood Movies Maniac, Chilled-Beer Lover, Big-time Foodie, Video Gamer, Traveller, a Dreamer who believes in a motto i.e. 'YOLO' You Only Live Once.